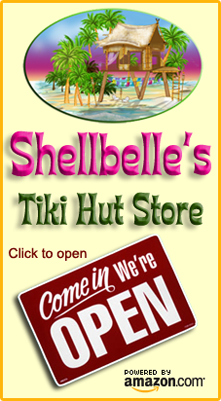 Shellbelle's Tiki Hut: It's 9 Degrees in Florida! 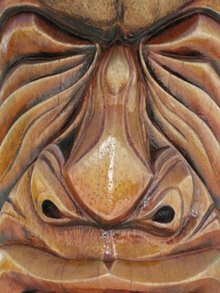 Normally on my blog when I show you sculptures, they are typically sand sculptures. Today I'll be showing you something you don't typically see in Florida. My daughter called last week and "cordially" invited me to spend Saturday enjoying this festive Christmas season with her, my granddaughter Kayla and Kayla's boyfriend. 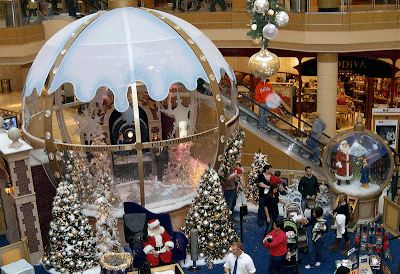 We went to lunch and then to International Plaza to see the giant snow globe. I was expecting these activities, but another destination was a big surprise and when I finally found out where we were going, I was more than delighted! 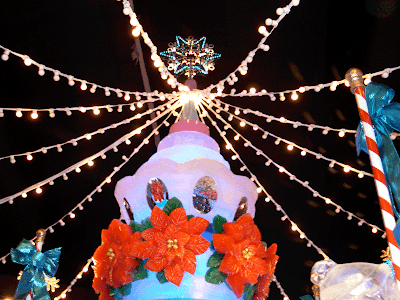 Once a year, from just before Thanksgiving and lasting through January 3rd, the North Pole comes to Florida. 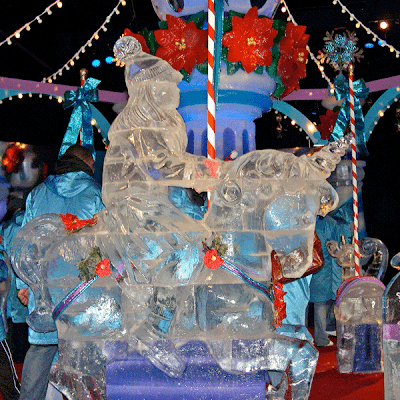 ICE is presented by the Gaylord Palms Resort in Kissimmee, which is located right next to Disney World. 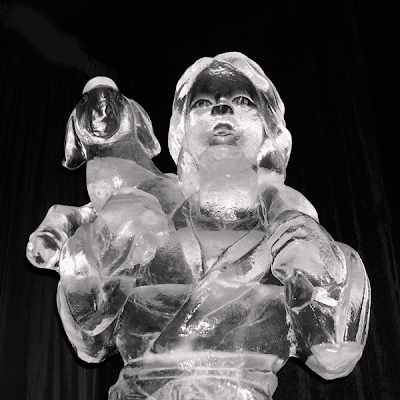 ICE is hand carved by a team of 38 artisans who travel from Harbin, China from approximately 450 blocks of ice. 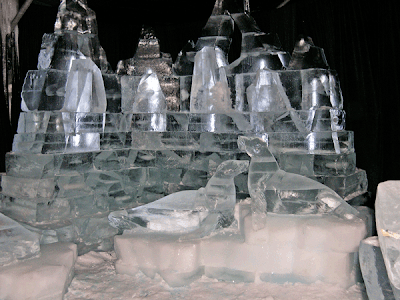 Each block of ice weighs 400 pound and takes 72 hours to freeze. 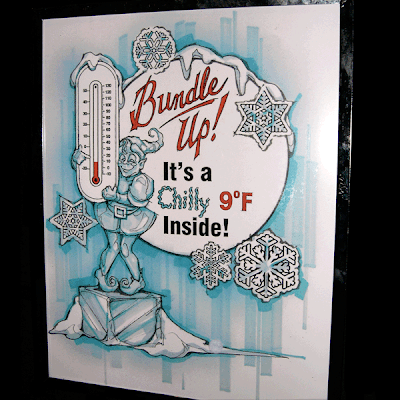 Florida's temperatures where I live rarely dip below freezing and when they do, it usually only lasts overnight. Knowing this, you'll probably realize that we don't have heavy winter gear in our wardrobes. 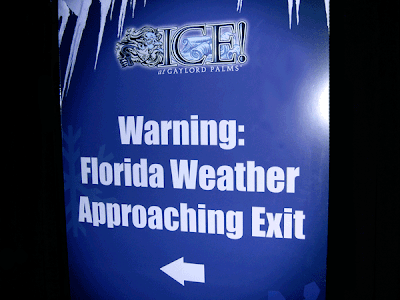 The good folks at Gaylord Palms know this, so before you enter you are given a parka and then your group photo is taken. I'm always amazed for days afterward when I look at this photo and remember how cold I was! Oh yes, they treat you to a hot cup of cocoa and wonderful entertainment after seeing the sculptures. My daughter and I had ours with a shot of Godiva White Chocolate Liqueur. Then you can wander around the atrium and take in all the beauty. Gaylord Palms is an amazing resort and there is no room in this post to tell you about all the wonderful amenities they have, but I will share one thing that you probably won't see in many vacation spots. In the middle of the resort is a 4.5 acre atrium that is, to put it mildly, stupendous! Not only are there plants and palm trees everywhere, there are restaurants, shops and sidewalks that lead to amazing discoveries. 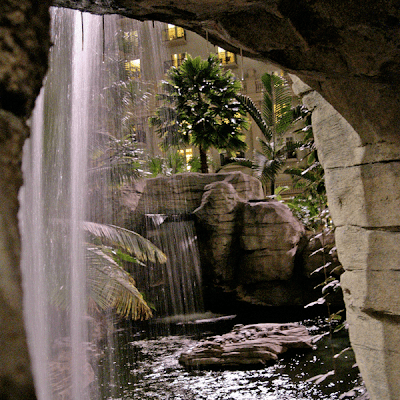 Look past this waterfall………see that rock in the center of the pool? You can just make out a few shapes and since it was nighttime, I couldn't get a better picture, so I found this one on flickr to show you what I found. Yes, those are alligators. 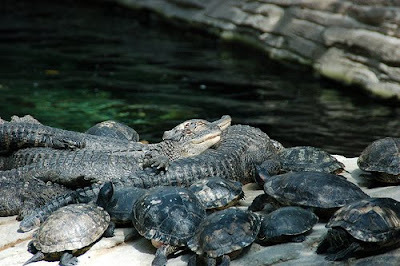 Gaylord Palms is home to fifteen juvenile alligators and every freshwater turtle native to Florida. They were so cute, not a word I typically use when discussing alligators, but they were sound asleep. Their bodies were completely relaxed and they appeared not to have a care in the world. I asked my granddaughter if she wanted to get in there and curl up with them. She chose not to, but did admit they were adorable. 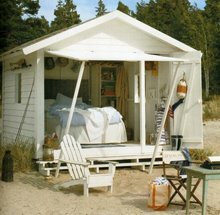 I'm posting this for Outdoor Wednesday, so be sure to stop over at Susan's @ A Southern Daydreamer for more postings. 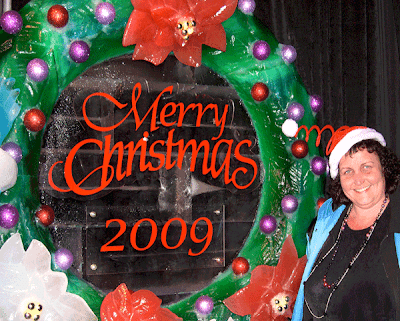 The "outdoor" rule has been suspended this month, so that we can share the joy of Christmas with all of you. How wonderful! so glad you were able to experience the ice "show". I cannot imaging 9 degrees. Even during our 4 year stay in PA, I don't think we ever got that low!!! 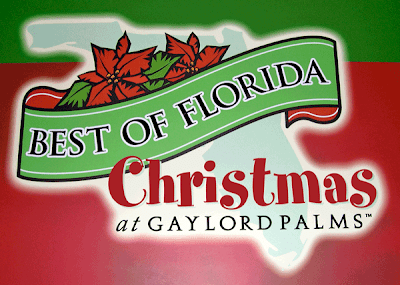 I have always wanted to visit the Gaylord at Christmas, but have yet to do so. It looks fantastic! I have seen the atrium...which is gorgeous! Oh, how fun! 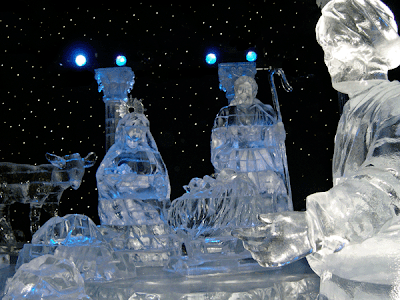 Those ice sculptures are amazing! We've been having grossly cold weather for CA. Only 25º when I got up this morning! Definitely cocoa time here! İce in Florida.. Should be very entertaining..
........all, ALL so breathtaking!! Now, I'm off for that hot cocoa!! We are heading that direction next week! Gaylord Opryland Hotel does the same thing. We have stayed there many times and the decorations there are gorgeous. I've been in Gaylord Palms...different than Nashville, but very impressive too...but, we haven't stayed there. I wondered if the ICE display would be worth the visit. I'm glad to see the pictures...and I'm glad it really isn't 9 degrees in Orlando (I'd just stay home)! Hi Rhonda, thanks for the visit and warm comment. All the photos are wonderful but my favorite is the fire concept. Glad to meet you. Rhonda, what a delight! Just bookmarked this to come back and browse some more. I LOVE the vintage Christmas cards. 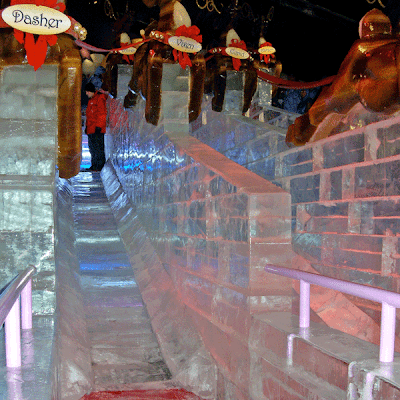 We just managed to get some free tickets for ICE, and I can't wait to go. It looks like you had a great time, and you look so cute in your "winter wear".. I am glad you had a nice break from all your work. I am thinking of you Rhonda..
What fun, Rhonda! This looks like a place I'd like to take my godchildren. Just as neat as can be! I wonder if this will be up after Christmas??? Welcome to my world!!! Only you don't have to shovel it. It just looks like fun there. I didn't know about this. I hope to be able to experience the event in the future. You did a great job showing us around and giving us a little history. Thanks for sharing. Your photos are just wonderful. 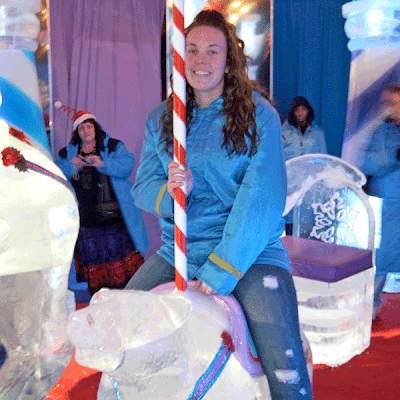 The ice sculptures are fantastic. I hope you have a great Outdoor Wednesday and enjoy the holidays ahead. It just snowed here for the first time..., and now I see you in ice!! Good timing!!! 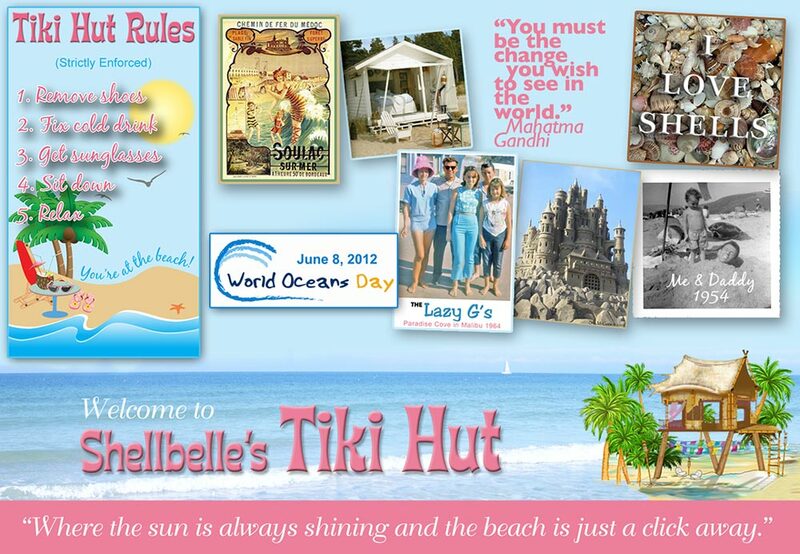 Thanks so much for the buttons, I added yours (love it) to Completely Coastal. 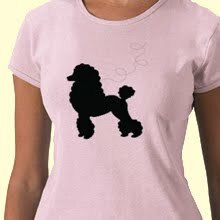 Oh and I see you have Fifi on your sidebar! She drew me on my blog, isn't she great? Wow... this looks like such a fun place to visit. I doubt that I will be in Florida any time soon, so thanks for taking us along. I just read my comment from you about your daughter giving her shoes... YOU have to share that story... what a perfect give and child-- obviously she would not have the heart she does had it not been for a wonderful mother. Thanks for brightening my day you sweet thing! 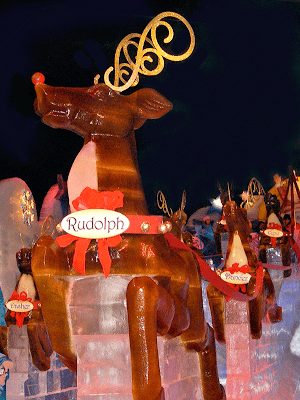 Wow those are awesome ice sculptures.......I would have never thought they would have that in Florida. 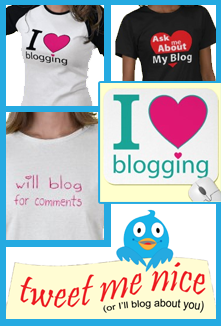 Thank you for your kind comments on my Blog, I will now follow your Blog. Four slides and no sliding? That place is absolutely enchanting! The carousel... Well, there are no words for such beauty. 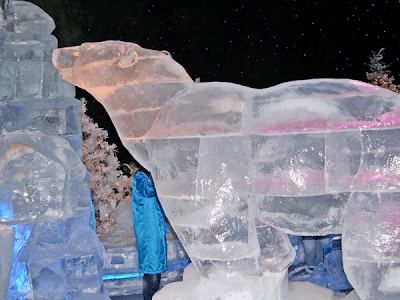 The ice sculptures are beautiful, I love the polar bear. I've never seen so many colors added to the ice before, that is a great effect. Like hip chick said, welcome to my world. It was 9 degrees yesterday morning when I woke up, a little warmer today at 14 degrees. When I lived in Alaska the ice was sculpted outside. Thanks for following, I am joining your blog as well. That must be somethnig to go inside to get it cold. In north of Sweden they do a hole hotel out of ice every year and you ka sleep on icebeds. But we do not color the ice here. 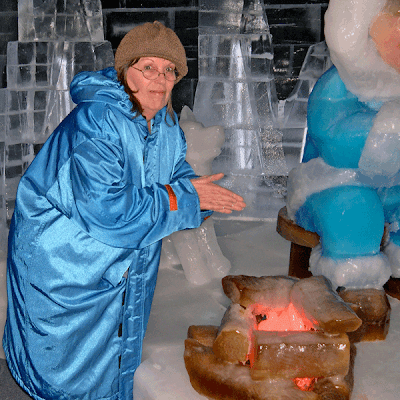 Was nice seeing ice sculptures again without freezing. We have a Gaylord here that has this similar display. It is truly amazing how they do all that. It's nice to "meet" you, neighbor! How fantastic! 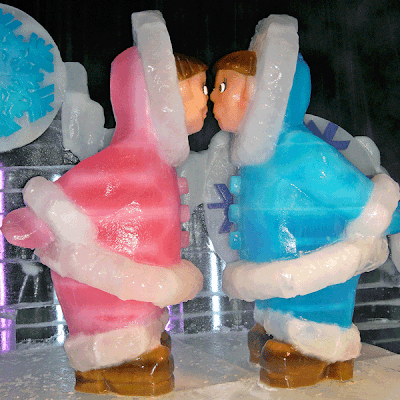 Those ice sculptures are gorgeous.....how do they color them??? I've seen ice sculptures before, but never in such beautiful colors. Loved the carousel! The Opryland Gaylord Hotel, in Nashville Tennessee has the huge atrium with all the hotel rooms in a circle climbing to the ceiling. Lots of restaurants and a river boat ride throughout. We've been there several times. It is fantastic!! Loved you pix and thanks for going to my brand new blog! This is the first I have heard of Gaylord Ice. 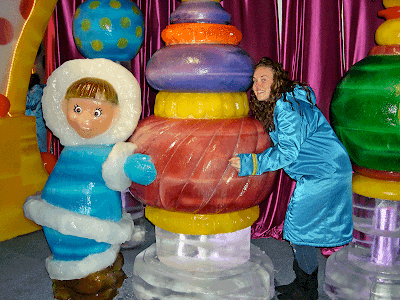 The ICE show looks wonderful, I loved all the carvings. Great photos. BTW, thanks for visiting my blog and commenting. Oooh, I don't like to think of ice in Florida! Just seems all wrong. But the sculptures are really amazing, and the turtles are cute. Though the alligators still look pretty scary, even if they are mini-sized! Hope you had a happy Outdoor Wednesday! 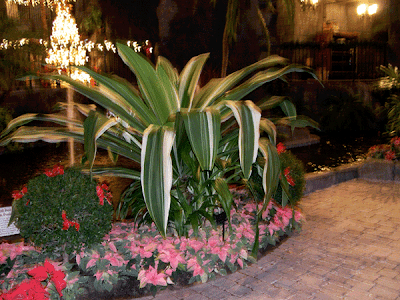 Wish I was in Fla. right now -- we're headed for 6 inches of snow this weekend! Thanks for stopping by to see us and I look forward to the night-and-day on the NY photos. What a surprise! Good thing they supply the parkas! Hi me again sorry! On my blog you asked if I use iweb and yes I do! I find it really easy to use! This is awesome! Thanks for the tour!!! What a wonderful, though cold, experience!! 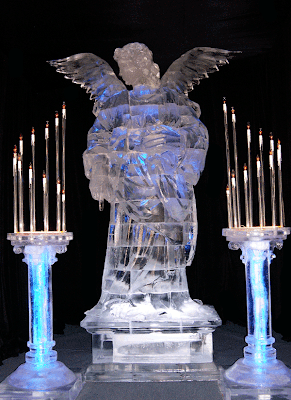 that is the coolest - no pun intended - seriously - they fly in ice sculptures???? and thenyou get hot cocoa? I LOVE IT! I think baby alligators are cute too. we see them sometimes when we visit south carolina. I'm not a fan of anything over two feet long though. Happy Outdoor Wednesday and thanks for stopping by my blog! Hi Rhonda, this is one cool place! 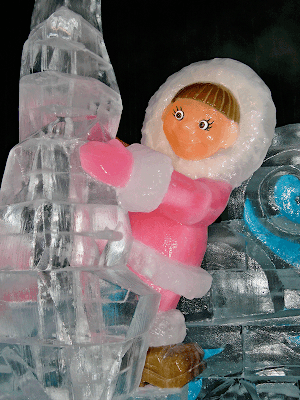 I have never seen ice sculptures, except on FoodTV! Your photos are gorgeous! I love the fire and ice photo! What a wonderful tour you shared with us! 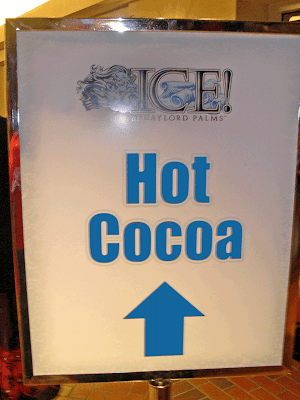 Looks like a fun and amazing place and a hot cup of cocoa upon exiting is a perfect way to end a wonderful day. We took our kids to Disney many year ago when they were wee little ones, magical!. Kathy. 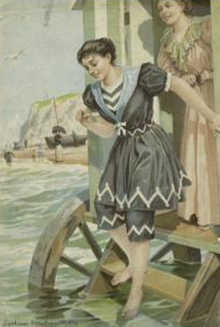 Very fun post and you must have had a wonderful, wonder-filled time! 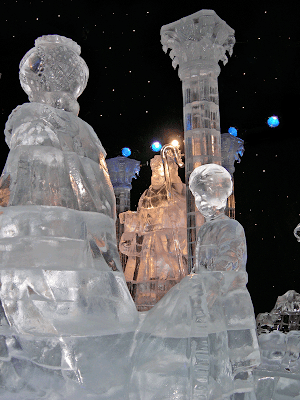 Those ice sculptures are gorgeous - thank you so much for sharing! Hi! 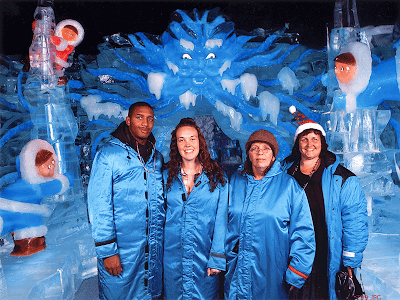 I really enjoyed seeing thses photos because my daughter has suggested that we go and see these ice sculptures over the Christmas holiday! Now I can't wait! Thanks for stopping by and saying "hi" on OW. aren't these lovely? and what a wonderful outing! truly enjoyed strolling with you looking at these sculptures.